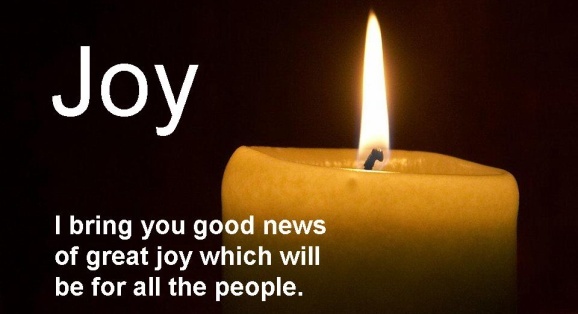 The following commentary was first posted on December 11, 2008, and relates to the Advent theme of Joy. If you live long enough you will go through many Christmas days. Even though we may go through the same kinds of rituals every year, our experience of Christmas varies in the different seasons of our lives. When I look back over my own life, I can see how this season has brought joy to my heart during every phase of my lifecycle. When I was a child Christmas was fun even without thinking about Christ. Yet when I think about those Christmases of childhood, what I remember most are the annual Christmas pageants at our church. They were simple affairs. Someone read the story of Jesus’ birth while we kids stood around bales of hay, dressed in bathrobes as shepherds or kings, staring into the bright stage lights of a darkened room. Somehow the wonder of the story of Joseph, Mary and the baby Jesus penetrated my soul as we listened to the words of St. Luke in the cadences of King James’ English. Christina Georgina Rossetti describes the scene as I imagined it as a child in one of her poems. It was one of those moments every year when I think all of us felt the joy of being a part of a community centered in Christ. These days I look forward to the happiness of the season, but I do not demand that the season make me feel a particular way. What I do feel is a need to enter a contemplative mood so that I can reflect upon the truth at the heart of the Christmas celebration. I find myself pulling off the shelves some old books I have read many times. In them are the writings of ancient Christians who had a feeling for Christmas as a celebration of a great mystery — the mystery of the incarnation of the Word of God in Jesus Christ. I realize that it is this mystery that has touched me over all the years at different times of life. It is the good news that God has come to us in our human history, something we shall never fully comprehend, but which makes life worth living. and God is made Man. that the Incomprehensible might be comprehended. or rather restores us by His Incarnation. You never know what problems you may be facing, or how you will feel, as Christmas comes around every year of your life. When we think on him who has come for us, there is always joy. Christmas finds its center in Christ and comes just in time to show us why we love him and find hope for our world and our lives, no matter what age we are.